« Opinions yo-yoing as much as weight loss? 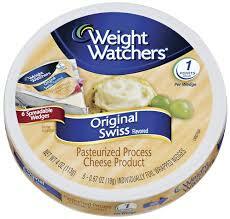 Weightwatchers living off the fat of the land! I am horrified today to read reports that the NHS have decided to refer obese patients with type 2 diabetes to Weightwatchers and their peers in an effort to meet NICE guidelines. If these clubs worked we wouldn’t have such a huge issue with obesity today – they have been going long enough to have made a positive impact. They haven’t! The full horrors underpinning the flawed notion of Weightwatchers as our supposed national solution are revealed in other reports this week which expose the real truth about Weightwatchers branded food products. Not a good news day for the health of the nation! This entry was written by rebalancediabetes, posted on May 30, 2014 at 2:18 pm, filed under diabetes, fat, healthy eating, junk food, NHS, weight loss. Bookmark the permalink. Follow any comments here with the RSS feed for this post. Post a comment or leave a trackback: Trackback URL.